When students reflect on what they have learned, ownership of that new knowledge increases. 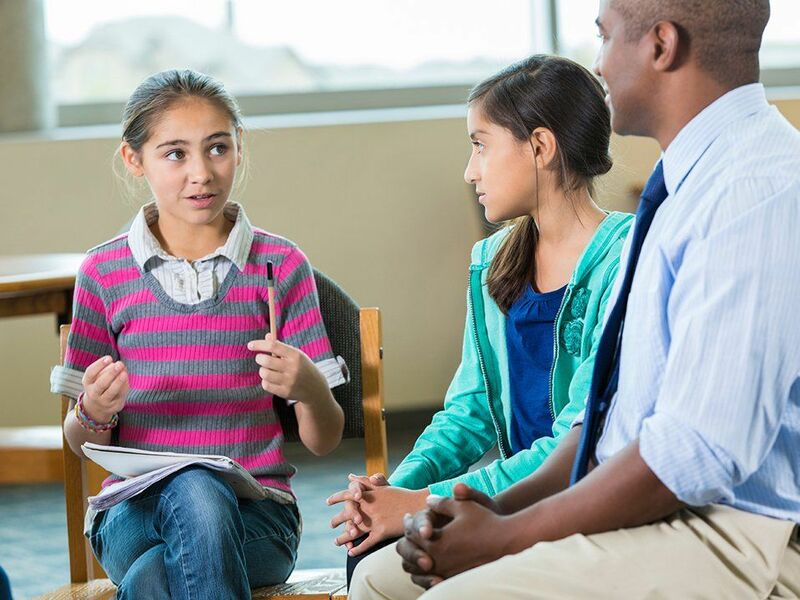 Check out these three strategies to use with secondary students. Research shows that reflection is an essential part of learning. That means that we need time to think about -- and talk about -- the ways we have processed and applied new information, concepts, and ideas. Unfortunately, including routine reflection time and activities in our curriculum can be an afterthought for many of us teachers. Here's one reason why student reflection definitely deserves more attention: When students reflect on what they have learned, ownership of that new knowledge increases -- and with ownership comes more application and use of that new skill or knowledge. So, as the year comes to a close, I'd like to present a few fun ways to engage your secondary students in reflection. The first place to start is to review with the students all the learning that took place during this school year. Do a sort of corralling of the curriculum where students and the teacher revisit together key activities, projects, and content from each unit of study. Use visuals to help students with recall as they gather from the past school year all the learning they've done (for example, display a photo of a project, an image of an author or scientist studied, or show a brief documentary clip). After reviewing each unit of study, ask students to draw a symbol that represents their experience with that unit. They could even create a hashtag that reflects an aspect of each unit. After they have designed their symbols, they can craft a few words that describe and explain their symbol. You can then do a fun activity I like to call musical shares. As you play a song, students move about the room. When you stop the song, your students will freeze in their tracks, partner with the student closest to them, and share their creation(s). Following musical shares, do a whole-class share out so students can comment on the symbols and hashtags of fellow classmates. What has been some of your most important learning this year? What has been some of your favorite experiences and learning this year? How might you be able to apply what you learned this year in the future? Here's an alternative discussion technique to seminar: Have students stand in a group of five or six. Each student numbers off in the group, and then they talk about a question. Next, their number gets called, and one person moves to the next group. That student tells the others in the next group what the last group talked about. Then, a new question gets asked, and this group discusses it. Repeat the process. Another version of this activity: Students write a letter to his or her future self. They record some memories and important learning from their experiences in your class. They can also write their hopes, fears, and expectations for the next year. Ask them to bring in a stamp so you can mail their letters to them. Before sealing the envelope, invite students to share excerpts of their letters with each other and with the whole class. Whichever reflection strategies you choose, be sure to make the event festive -- a celebration of learning. This may include food, music, rounds of applause, or standing ovations. What end-of-the-year reflection strategies do you use with your students? Please share in the comments section below.